Is your Supply Chain strategy collecting dust on the shelf? Is your vision for a better, more efficiently run business withering away in oblivion? 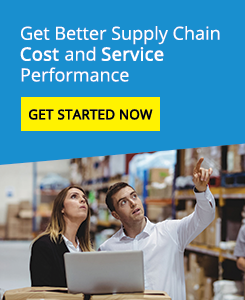 Do you lack the skills and resources to implement the Supply Chain solution that was presented to you? Logistics Bureau has got you covered. Let us help you move forward and implement with our experienced project managers. Using the Logistics Bureau methodology, they provide guidance through every implementation stage from business process re-engineering, project management, change management, functional requirements for IT systems, creation of test scripts, conference room pilots, system validation, training, developing standard operating procedures, move planning and implementation, to post go live support. Do you have that sinking feeling when you have been presented with your new supply chain strategy and you have no skills or resources to implement the solution. Logistics Bureau has extensive experience helping customers with the implementation of their supply chain strategy. Don’t leave your vision on the shelf, let us help you move forward and implement it with our experienced project managers. Using the Logistics Bureau methodology, our experienced project managers provide guidance through every implementation stage from business process re-engineering, project management, change management, functional requirements for IT systems, creation of test scripts, conference room pilots, system validation, training, developing standard operating procedures, move planning, implementation and post go live support. During this phase our project managers will meet with your team to define and establish the framework, roadmap, roles, and responsibilities of the project. Discussion points include project scope, key stakeholders, commitment levels, assumptions, risks, success criteria, reporting requirements, communication protocol, milestones and timelines. During this stage, our implementation consultants will work with your IT team to document and plan the implementation of the technical environment that is required to meet your immediate goals for this project and ensure it is designed to expand in response to your future growing demand. Our consultants will take your business through our process re-engineering workshops to understand in detail your current business processes that relate to the supply chain and facilitate your “TO-BE” processes. To anticipate change management concerns and devise a solution to build awareness and buy-in from the business, Logistic Bureau’s Implementation Consultants will work with you to deliver internal marketing, communication, training and sponsorship plans to build awareness, knowledge, user adoption and ownership. Our Implementation Consultants will help develop a full series of test scenarios to conduct your conference room pilot to ensure the solution meets the business requirements and matches the future designed business processes. Our Implementation Consultants will conduct a number of pilots until all the testing has been completed and signed off by the business. If system validation is required for batch lot traceability for TGA/FDA requirements, our implementation consultants can provide the framework to provide fully documented validation tests to confirm traceability throughout the testing process. If your business is moving their warehouse, our consultants will develop a detailed plan for the move process, test the system and physical processes before giving the green light to undertake the full warehouse move. If your inventory is just a few hundred or many thousand of pallets of stock, our experienced consultants have already been through the process many times and know how to avoid all the pitfalls.